At present the UK produces around one tonne of truffles a year, compared to France’s 50-80 tonnes. 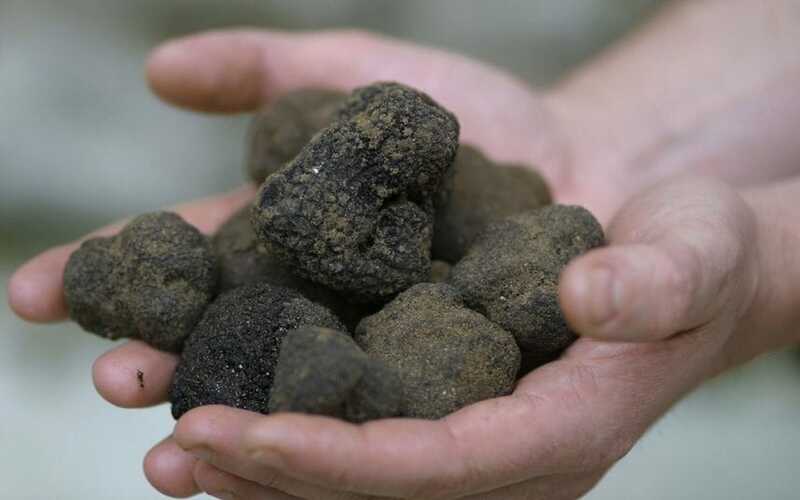 But now warmer conditions in the UK and pioneering genetic technology which can dramatically speed up their production, means rare black truffles are starting to be grown in Britain, with the UK set to become a major producer within a generation. 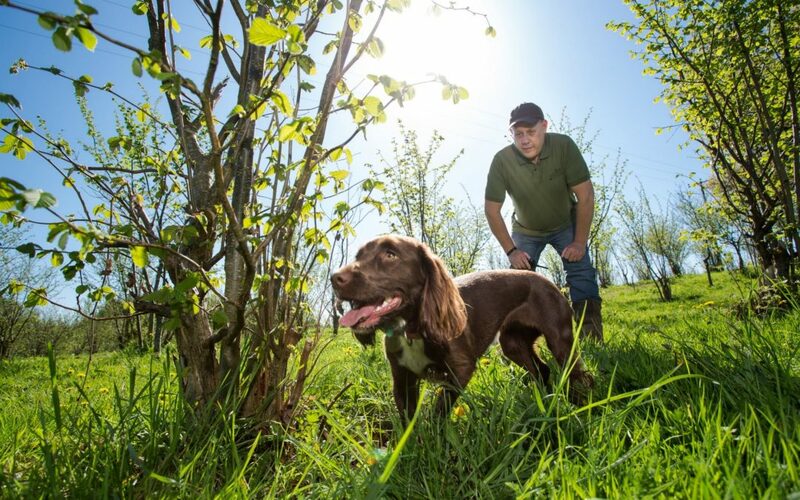 Climate modelling by Dr Paul Thomas, who specialists in the cultivation of truffles at the Stirling University, found mild Mediterranean weather that has made them a staple of French cuisine will be replaced by harsh droughts that will wreck production over the next 30-40 years. He said: “That drying is a long-term trend in Europe so the future looks pretty good for British truffles,” said Dr Thomas, who called for a strategic increase in production if farmers in the UK were to capitalise on climate change. 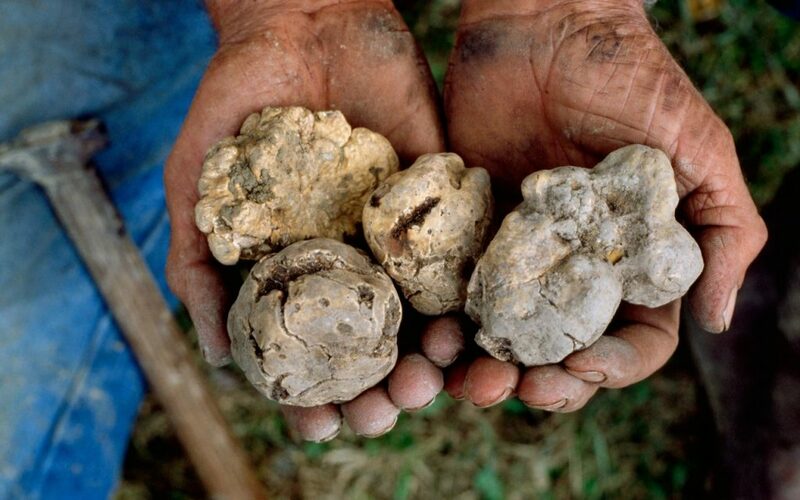 “We need to be planning now if we are going to shift truffle producing regions [north]. In all the climate models, it looks pretty bleak for a lot of areas of Europe. I would say its important that we prepare now.” The truffle industry is projected to be worth £4.5bn in the next 10 to 20 years. With the climate trends Dr Thomas now anticipated, the UK was perfectly placed to “become pivotal in the global truffle industry” but it would require a big commitment by government, industry and their agencies, he said. He added: “We have the space to do it and we plant a lot of trees already [which could be treated with the fungus]. A 100 years ago, there was a knowledge and awareness of truffles. We had full time truffle hunters. Mrs Beaton wrote about them in her cookbooks. That awareness and knowledge died out. Mr Thomas is also developing lab techniques which are doubling the growth speed of commercially grown crops. It involves epigenetics, where the plant’s genes are switched on and off, to speed up truffle growth for harvest in three years’ time instead of a typical growth time of six years. The process sees seeds inoculated with truffle fungus, grown in greenhouses, and then planted them at sites around the UK. The latest – hazel whips with their roots enveloped in fungus – were planted in Bute off the west of Scotland last year.